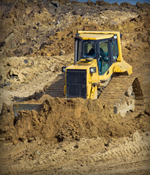 Excavating and grading operations require much more than simply moving dirt! Finished tolerances, compaction and soil conditions must all be considered. TJ’s has the knowledge, experience and equipment to complete each project with the utmost in quality and safety. TJ’s Excavating provides professional demolition services to SE Minnesota, Western Wisconsin and Northern Iowa. We have the equipment and experience necessary for all types of residential, commercial and light industrial demolition work. 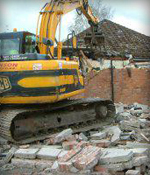 We provide the best demolition services possible; complete all jobs quickly and safely and offer competitive pricing. 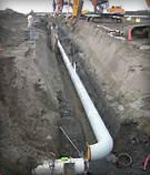 TJ’s Excavating offers a single solution for underground utility installation and reconstruction. We have the know-how, personnel and tools for the reconstruction and installation of sanitary sewers, storm sewers, and water mains. From digging and grading the trenches to laying the pipe TJ’s will complete the job to code, on time and to the customer’s satisfaction at a competitive price. 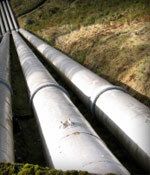 Process piping is a form of pipework used to transport materials used in industrial processes and manufacturing. It is specially designed for particular applications to ensure that it will meet health and safety standards, in addition to suiting the needs of a given manufacturing process. Process piping can be installed by plumbers, as well as contractors who specialize in installing factory components, and like other fixed elements of a manufacturing facility, it is subject to inspection and approval by government regulators. 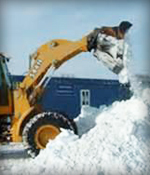 As a commercial snow contractor, TJ’s offers a wide range of services that include: snow plowing, snow removal, ice control, parking lot snow removal, sanding and salting. You can count on our experienced winter crews to keep your property free of snow and ice, reducing your liability and keeping your customers, employees and vendors safe during the long Midwest winters. In today’s competitive business climate it is more important than ever to keep the exterior of your property neat, clean and inviting. TJ’s has the equipment and reliable, experienced staff to provide you with efficient, cost effective service on an on-going basis. 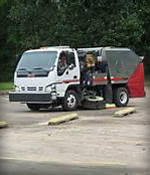 Our state-of-the-art sweepers include features that guarantee professional results no matter what type of pavement cleaning you require.